If not for the recommendation by my friend, I would never have discovered such place for braised duck and fish soup. Well, what a combination! Although there are so many eateries in Geylang, be surprised that the coffee shop environment is actually crowded by office workers from nearby. Luckily we were there earlier and did not have to worry about seating. After which, we went up to the counter and order our food. We choose our braised platter based on the items we like. 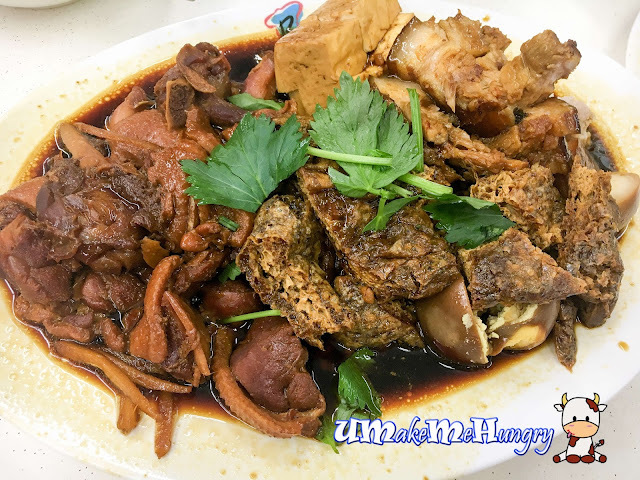 We had braised duck, pork trotters, eggs, intestines, Tau Gua and Tau Pok. 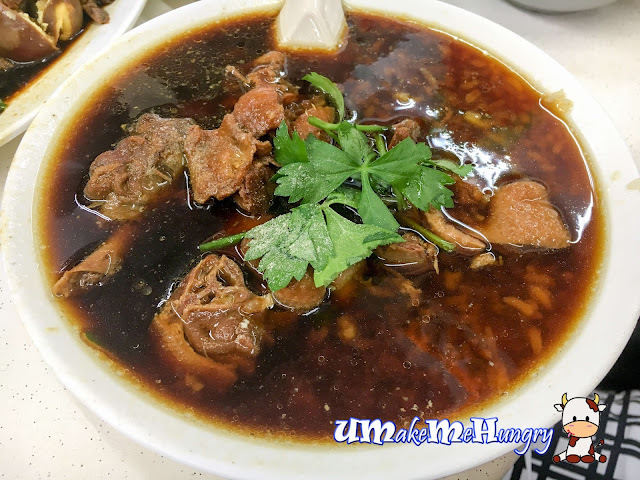 The duck meat was braised till so tender that we almost mistaken the meat as pork. However, we love the braised meat over here including the intestine as they were well handled and tasty. Good to go with rice or porridge as it might be very salty and oily to consume alone. Was rather please to have a bowl of lukewarm porridge with braised gravy and chunks of braised duck meat. 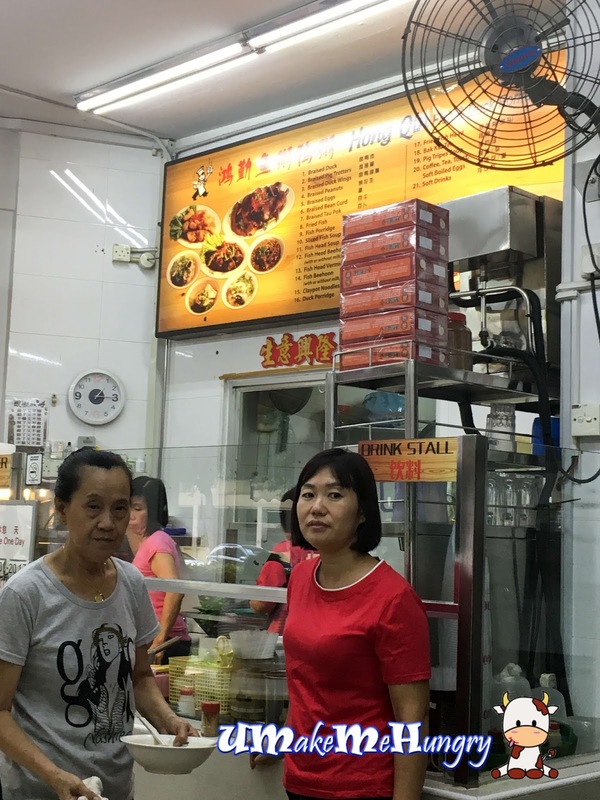 The style of the porridge had the kind of homely taste which you normally wont find it from usual hawker stalls ~ Teochew Grandma Style Dish. 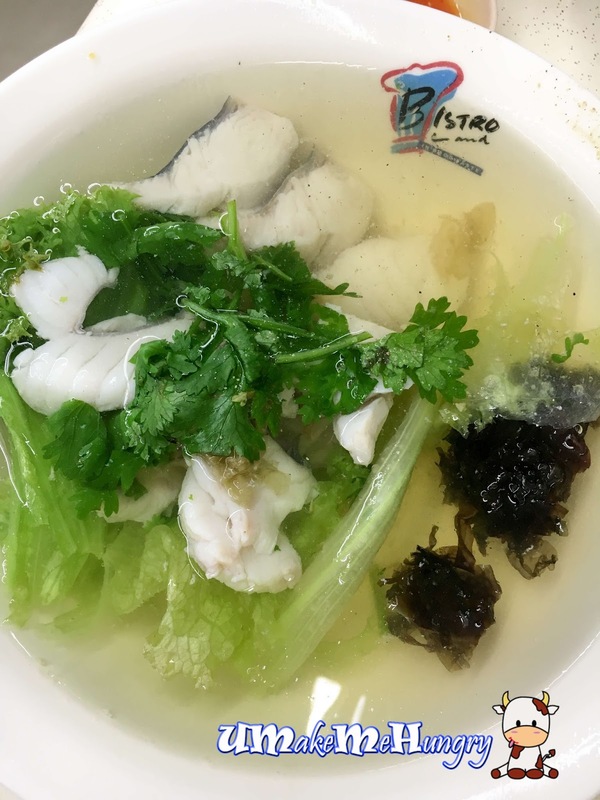 The other dishes not to let your stomach go empty with will be their fish soup. They provide fresh sliced pieces of fish in clear soup. 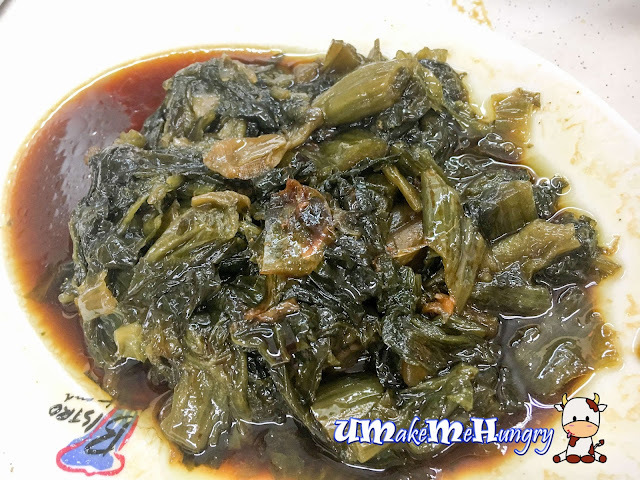 Dish was simple and straight forward with preserved greens, cabbages and seaweed. Plain light meal but broth was tasty and flavorful. I like the nostalgic taste of food especially the braised duck. 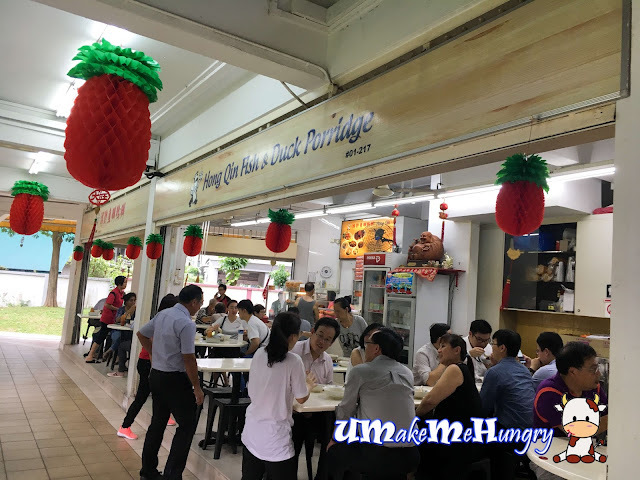 Since operating hours of Hong Qin Fish & Duck Porridge is till mid noon on the weekdays (Batang Fish sold out fast), it will be more likely that we will be visiting them in the weekend instead.